Ace Filmmaker Rajkumar Hirani Calls Tumbbad A Rollercoaster Ride! Home BOLLYWOOD Ace Filmmaker Rajkumar Hirani Calls Tumbbad A Rollercoaster Ride! Actor Sohum Shah is currently riding high on success and is getting rave reviews for his critically acclaimed film ‘Tumbbad’. The talented actor has put in tremendous efforts for the film for six years and we can definitely say that Sohum’s hard work has paid off well. Not only the audience even the critics are hailing the film. Rajkumar Hirani took to his twitter handle and wrote,”#Tumbbad is a visually dazzling & amazing original film. A rollercoaster ride that will keep you on the edge of your seat. It must be enjoyed only on a big screen. @s0humshah”. Recently actors like Shah Rukh Khan, Hrithik Roshan, Rajkummar Rao, Arjun Kapoor, Sonakshi Sinha and Tiger Shroff too have showered their love on Sohum’s Tumbbad. 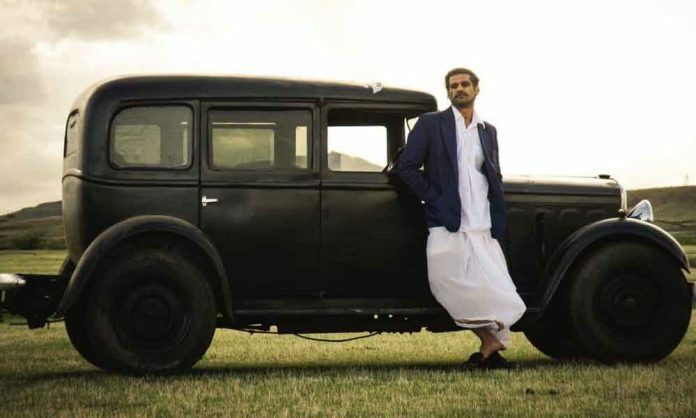 Tumbbad has become a rage amongst the audience who have been posting on social media about how the film’s production and VFX quality is even better than some of the Hollywood productions. Tumbbad is an Eros International and Aanand L Rai’s presentation and a Sohum Shah Films in association with Colour a Yellow Productions. Co-produced by Filmi Väst and Filmgate Films. Tumbbad is successfully running across theaters since 12th October 2018.